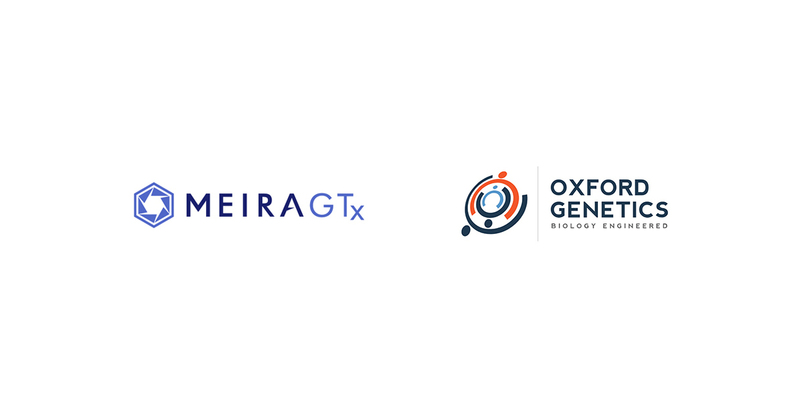 5 December 2017, Oxford - Oxford Genetics, a leader in innovative synthetic biology-based technologies for biologics discovery, development and delivery, has established a new agreement with clinical-stage gene therapy company, MeiraGTx. The collaboration will enable Oxford Genetics and MeiraGTx to develop novel adeno-associated virus (AAV) vectors, as well as packaging and producer cell lines. The companies aim to create a fully scalable AAV production system that can satisfy the requirements for increased viral vector yields, process robustness and product efficacy. Dr Ryan Cawood, CEO at Oxford Genetics, said: “We are delighted to be working alongside the MeiraGTx team on such an exciting project, which will take us another step forward in our vision to deliver breakthrough technologies to the biotherapeutic industry. Dr Paul Brooks, CCO at Oxford Genetics, added: “The agreement further demonstrates that our business model for early access to our technologies is resonating with the biotherapeutic industry. As part of the agreement, MeiraGTx gains exclusive, worldwide research and manufacturing rights to novel serotype specific AAV vectors, along with associated packaging and producer cell lines.